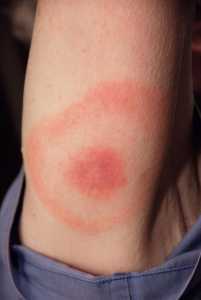 This 2007 photograph depicts the pathognomonic erythematous rash in the pattern of a “bull’s-eye”, which manifested at the site of a tick bite on this Maryland woman’s posterior right upper arm, who’d subsequently contracted Lyme disease. Lyme disease patients who are diagnosed early, and receive proper antibiotic treatment, usually recover rapidly and completely. A key component of early diagnosis is recognition of the characteristic Lyme disease rash called erythema migrans. This rash often manifests itself in a “bull’s-eye” appearance, and is observed in about 80% of Lyme disease patients. Response: Lyme disease has been a nationally notifiable disease in the United States since 1991. Each year, possible cases of Lyme disease are investigated and tallied by state and local public health officials according to criteria set by the surveillance case definition. States voluntarily share human case data with CDC, which summarizes the data to provide a national perspective on disease trends. This report summarizes national Lyme disease data reported during 2008-2015. Lyme disease continues to be the most commonly reported vector-borne disease in the United States with more than 275,000 cases of Lyme disease reported to CDC during the study period. Although most cases continue to be reported from states with high incidence in the Northeast, mid-Atlantic, and upper Midwest regions, case counts in most of these states have remained stable or decreased during this time. In contrast, case counts have increased in states that neighbor those with high incidence. The trend of stable to decreasing case counts in many states with high incidence may be due to multiple factors, including the possibility that occurrence of the disease has stabilized in these areas or that some state health agencies have changed their reporting practices to lower the resource burden associated with Lyme disease surveillance. Lyme disease surveillance is not meant to document every case, but rather to indicate disease trends over time, define high-risk groups, and describe the geographic distribution of the condition. Response: Patients who are given a diagnosis of “chronic Lyme disease” have been offered a variety of treatments that have not been shown to be effective. Many patients are treated with prolonged courses of antibiotics (for months or years), which have not been shown to provide substantial long-term benefit to patients. Anecdotal reports about adverse outcomes associated with these treatments for chronic Lyme disease are common, but there have not been systematic efforts to collect data about the frequency of these events. MedicalResearch.com: Why is the diagnosis of ‘Chronic Lyme Disease’ so common? Response: The term “chronic Lyme disease” (CLD) has been used to describe people with different illnesses. While the term is sometimes used to describe illness in patients with Lyme disease, in many occasions it has been used to describe symptoms in people who have no evidence of a current or past infection with Lyme disease. Because of the confusion in how the term CLD is employed, experts in this field do not support its use. Response: Lyme disease is caused by the bacterium Borrelia burgdorferi and is transmitted to humans through the bite of infected blacklegged ticks, also called deer ticks. Lyme disease is the most commonly reported vectorborne illness in the United States, with approximately 300,000 humans becoming infected each year. While Lyme disease infections are highly concentrated in the northeast and upper Midwest, the number of counties in which the blacklegged tick has become “established” has more than doubled in the past two decades. Established populations of these ticks are found in 35 states. Knowing that Lyme disease is increasing both in numbers of infections and in geographic range in the United States, we did this study to determine if people are at risk of encountering infected ticks while recreating in eastern national parks. This is the first large-scale survey in multiple national parks, and though suspected, it had not been confirmed that ticks in many of these parks were infected. So the purpose of the study was to survey national park units across six Northeastern and Mid-Atlantic States and the District of Columbia, ranging from Maine in the north to Virginia in the south and characterize the risk of human exposure to ticks-borne bacteria. Researchers from the Centers for Disease Control and Prevention and the National Park Service evaluated frequently used trails in Acadia National Park, Catoctin Mountain Park, Fire Island National Seashore, Gettysburg National Military Park, Manassas National Battlefield Park, Monocacy National Battlefield, Prince William Forest Park, Rock Creek Park, and Shenandoah National Park. Response: Controversies related to Lyme disease and tick transmitted diseases have gained much attention in the public media in Norway, both regarding treatment regimens and diagnostics. People with long-lasting disease may relate their symptoms to previous tick bite and/or suboptimal-treated Lyme disease and have adopted the diagnosis chronic Lyme disease. As many of these patients lack objective proof of Lyme disease, they look for alternative test to signify their suspicion. A modified microscopy method for detection of the Borrelia burgdorferi s.l. (the causative agent of Lyme disease) in human blood was published in 2013. The authors behind the method examined blood from suspected chronic Lyme disease patients, and the results showed presence of Borrelia spirochetes in most of the specimens. Using the same method, they also claimed to detect the Babesia parasites in many of the samples. The method gained much publicity and the patients advocated strongly for this method as most other laboratory tests had failed to prove their diagnosis. Senior Author: Tara Moriarty, Ph.D. Response: The spread of microbes via the bloodstream (dissemination) is responsible for most of the mortality associated with bacterial infection. Even though this is a clinically important step of many infectious diseases, and likely an important target for disease treatment, we don’t know how most microbes disseminate. One of the key steps in this process is adhesion of bacteria to the inner surfaces of blood vessels. This allows bacteria to slow down enough to grab onto vessel surfaces, then escape from the blood stream into tissues where it’s easier for them to live. It’s a bit like the problem faced by a person being carried down a fast-flowing river who needs to grab onto something on the banks to get out onto dry land. A big problem for bacteria, and any other cells which must stick to blood vessel walls (like white blood cells travelling to a site of infection or inflammation), is that they have to be able to stick to vessel walls without being ripped off by the flow of blood. They have to have adhesion mechanisms strong enough to overcome forces due to flow. 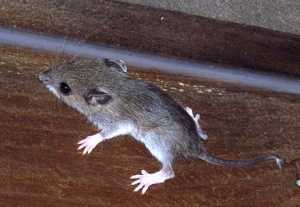 It’s also really helpful to be able to hang on but keep moving along walls until they reach a good spot to get out. This is important for white blood cells too, which have to “sample” their environment to get to the right place to get out of blood flow. Even though the problem of how bacteria stick to blood vessel walls is so important clinically, the mechanisms bacteria use to do this are not widely understood. Part of this gap in our knowledge arises because we haven’t had good tools to study this process as it happens, and to understand how force affects bacterial interaction with vessel walls. The process of bacteria sticking to blood vessel walls is very fast, and hard to observe. The methods to observe this have already been developed, but the major technical innovations of our paper were to figure out how to identify and track the movement of the individual bacteria which stuck to vessel walls among millions flowing past, and to figure out how to set up a flow chamber system which replicated certain conditions in human blood vessels. Figuring out how to do this allowed us to figure out a lot about how the bacteria moved, and the forces and mechanisms involved in adhesion. It took a couple of years just to figure out the common patterns in the thousands of tracks of bacteria interacting with blood vessels, after the initial technical innovation. Dr. Nelson: Since Lyme disease is a nationally notifiable disease, state and local health departments collect reports of Lyme disease cases in their jurisdictions then share this data with CDC. This surveillance data is very informative and can be used to track disease patterns. Hispanics comprise roughly 45% of the U.S. workforce in outdoor jobs such as grounds maintenance, farming, fishing, and forestry, so they potentially have an increased risk of Lyme disease. Since information on Lyme disease in Hispanics is very limited, we decided to look into this topic further by analyzing surveillance data. Dr. Eisen: Since the late 1990s, the number of reported cases of Lyme disease in the United States has tripled and the number of counties in the northeastern United States that are considered high-risk for Lyme disease has increased by more than >320%. In 1998, a comprehensive review was published that described the geographic distributions of the blacklegged tick (Ixodes scapularis) and the Western blacklegged tick (Ixodes pacificus). These ticks are responsible for infecting humans with the pathogens that cause Lyme disease, anaplasmosis, and babesiosis. Medical Research: Would you tell us about the methodology? Response: CDC researchers recently published an update to the 1998 tick distribution map. 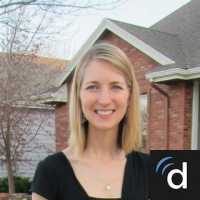 The authors reviewed the scientific literature and individual state health department websites for data. Additionally, they contacted public health officials, entomologists, and Lyme disease investigators throughout the United States to assess county-level tick collection data. Researchers characterized counties with Ixodes scapularis and Ixodes pacificus ticks as “established” if at least 6 individual ticks or at least 2 of the 3 tick life stages had been identified during a collection period. Counties were characterized as “reported” if at least one tick of any life stage had been identified at any time in that county, or if county records did not specify the number of ticks or life stages collected. Dr. Nelson: Evidence-based guidelines for the diagnosis and treatment of Lyme disease have been provided by the Infectious Diseases Society of America for many years. These comprehensive guidelines have been vetted by external review panels as the best option for patient care. In endemic areas, patients with the typical rash (erythema migrans) can be diagnosed with Lyme disease clinically. Otherwise, the guidelines recommend that diagnosis be based on a history of possible exposure, compatible clinical features, and positive two-tier serologic testing. Some patients who have been treated for Lyme disease may develop post-treatment Lyme disease syndrome (PTLDS) – fatigue, arthralgias, or other symptoms that persist after completing antibiotic treatment. Although the exact cause of post-treatment Lyme disease syndrome is unknown, it is thought to be due to an altered immune response or residual damage to tissues during the acute infection. A diagnosis of exclusion, PTLDS should only be diagnosed after the patient has been thoroughly evaluated and other potential causes of symptoms ruled out. On the other hand, “chronic Lyme disease” is a loosely defined diagnosis that has been used to describe a variety of ailments. A small cadre of providers use unconventional methods to diagnose patients with chronic Lyme disease, and sometimes there is no objective evidence that the patient ever had Lyme disease. Multiple factors contribute to this phenomenon, including misconceptions about serologic testing, use of unvalidated diagnostic tests, and clinical diagnosis of Lyme disease based on nonspecific symptoms alone. We know that patients have been – and continue to be – harmed by treatments for chronic Lyme disease. Patients have suffered from emboli, severe allergic reactions to antibiotics, neutropenia, and infections such as Clostridium difficile. This is terrible and should never happen. However, there is another important danger related to these alternative practices. Some patients who have been diagnosed and treated for chronic Lyme disease later discover that another condition is the root of their physical problem. We wanted to highlight some of these cases in order to help educate providers and patients about this issue. Medical Research: What are the main findings of the study that were just published in Ticks and Tick-borne Diseases? Dr. Salkeld: The primary findings of this new study show that western black-legged ticks, which can transmit Lyme disease, are active throughout the year in Northwest California, making the threat of Lyme disease year-round phenomenon. More specifically, my colleagues from California Department of Public Health Vector-borne Disease Section and University of California, Berkeley and I found that the activity of Western Black-legged ticks (Ixodes pacificus), which are the ticks most commonly known to carry Lyme disease (caused by Borrelia burgdorferi) in Northwest California, is largely predictable and year-round. In general, tick larvae (newly hatched immature ticks) are active April to June, and sometimes activity extends into October, while adult ticks are active from October to May. Nymphal ticks (the tick stage following larvae and preceding adults) are active from January to October but peak from April-June. This is important because nymphs are responsible for most Lyme disease infections. Answer: The study presents two additional cases of BMD (Borrelia miyamotoi disease) that add to our knowledge of the spectrum of illness of this recently recognized zoonosis. Our report of the North American index case in NEJM in January 2013 described a case-patient who was elderly and immunocompromised and it was not clear whether that case was just very unusual. With our Annals report, we describe cases in immune-intact individuals and suggest that cases of BMD may have been under our noses all along, just presumptively diagnosed as HGA and successfully treated with doxycycline with no followup (e.g., lab confirmation of diagnosis of HGA Human Granulocytic Anaplasmosis). Hence, individuals presenting with fever, headache, myalgia, and show leukopenia and elevated LFTs may have either HGA or BMD and confirmatory testing should be done accordingly. It should be noted that all tick borne diseases are clinical diagnoses and treatment of an acute case should not depend on “lab tests”. Both these infections are effectively managed by oral doxycycline, hence those with these signs and symptoms might be empirically treated with doxycyline, which would be important in areas where RMSF and tularemia (which also produce leukopenia and elevated LFTs) co-occur with deer tick -transmitted infections such as Lyme disease; waiting for “lab tests” to confirm RMSF or tularemia might lead to a negative outcome. RMSF and tularemia are the most dangerous of the tick American tick borne diseases, although I would certainly place the very rare deer tick virus and Powassan virus in the same category. MedicalResearch.com Interview with: Xin Li, Ph.D.
Dr. Xin Li : Antibody responses to borrelial antigens that are primarily expressed during the tick phase the spirochetes’ life cycle are common in American patients with Lyme arthritis, a late-stage manifestation of Lyme borreliosis, but are rare in American patients with early-stage infection or European patients with early- or late-stage infection.